See how the sky peeks through the trees? It’s like blue and yellow confetti in there. 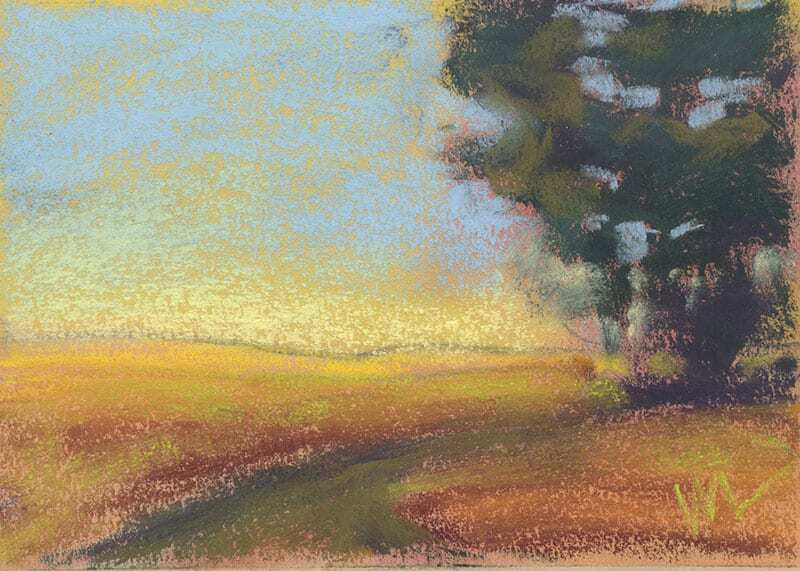 Sky Holes, 5×7″ pastel on paper by Marie Marfia. $75, unframed. Contact me to purchase. This entry was posted in A pastel a day, Emotional Landscapes, Landscape, painting a day, Pastels, Woods scape and tagged confetti, daily painter, Julington Durbin Preserve, landscape, painting a day, pastel, sky holes, woods on May 20, 2016 by Marie Marfia.